All the mind-streams eventually flow into the one ocean beingness, there are many pathways for the mind, there are no paths for the heart, for the heart is infinite and fills everything. Can the seer be seen? The mind is not your friend... not yet. Beloved, welcome home to your own self. When we look with the "I"
When we look for the "I"
I am the great waters, upon my face, the primordial pen of mahamaya writes incessantly the lives and destinies of all living beings. Every wave, each ripple, the subtlest movement, is my dancing. Yet I, the pure reality, remain ever untouched, unaffected, glorious and beyond all concepts, I, the unimaginable, the formless absolute, alone am. 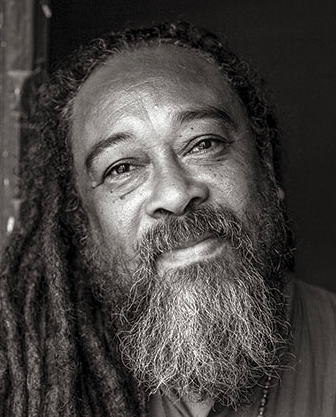 Mooji is an advaita non-duality master and mystic. He realized his true being through the grace of Papaji and Ramana Maharshi. He is today best known for his pointings that guides the seeker back to the Self, which is his own true nature! Mooji ji kay!